Betty Lou (Hutson) Yandell, 89, of Broken Arrow, Oklahoma passed away peacefully on January 14, 2018 in Tulsa. She is preceded in death by her loving husband, Merrill H. Yandell; daughter, Donnetta Kay Yandell; two brothers, Thurman and Clifford Hutson; and granddaughter, Tara Boland. 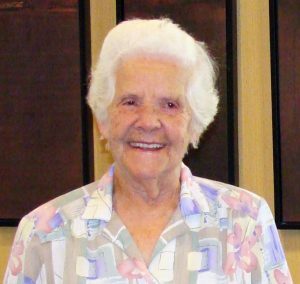 Betty was active in the Fairfield Bay, AR area, often serving in the food pantry or preparing meals at the Lion’s Club. Betty was a wonderful cook, avid fisherman and talented card player. She had a loving, charitable heart and a joyful disposition in all circumstances. 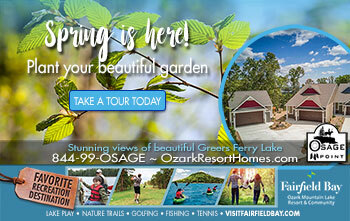 She greatly enjoyed living on the lake in Arkansas. Betty is survived by her son, Glenn and his wife, Mary; grandchildren Shanna and Adrienne; and great-grandchildren, Kaylee, Jayden, Jack, Rachel, Tom and Sam. The family will be arranging services at a later date in Arkansas.